In the north-east of central Tokyo lies the historical district Asakusa. Unlike other districts, Asakusa has remained a more traditional neighborhood with its many historical buildings, temples and shrines. 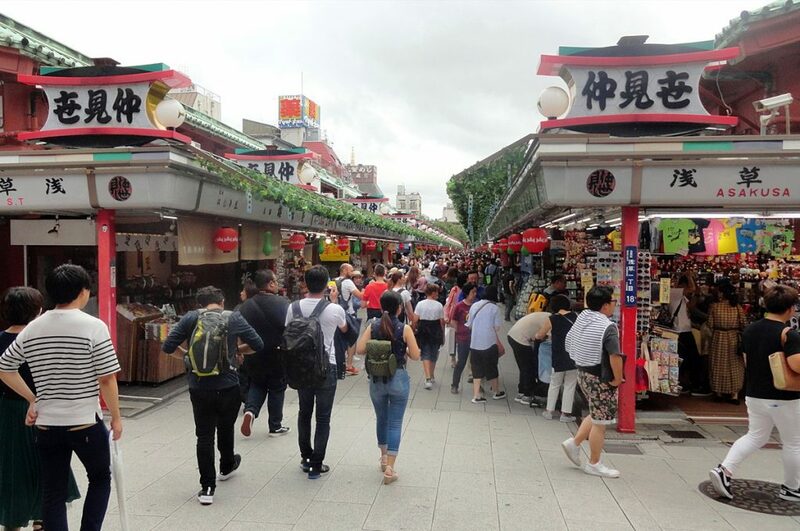 Walking around Asakusa makes you feel like you’re transported to the old days with many stores selling traditional arts and crafts and traditional Japanese food and snacks can be found everywhere. Asakusa has a relaxed downtown atmosphere and is a popular destination among many foreigners and Japanese alike. 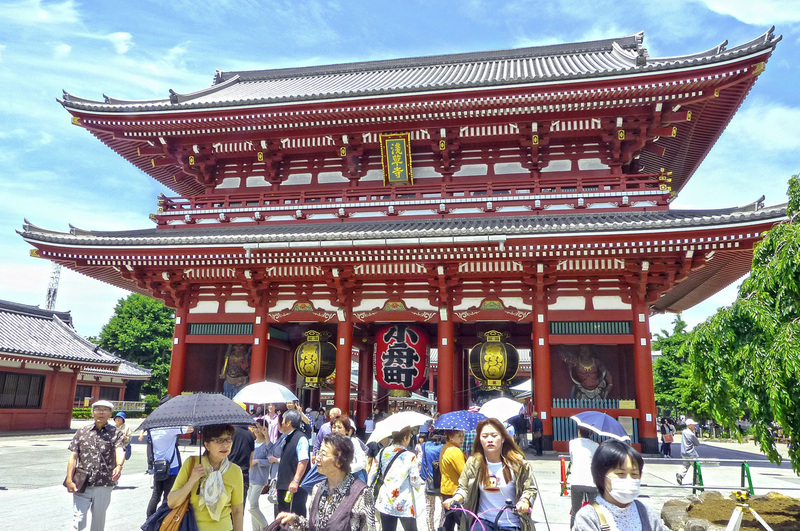 Take a picture at Kaminarimon (the huge red lantern hanging at the entrance of Nakamise Dori), visit Sensoji Temple and take a rickshaw ride around the area. This lively neighborhood is crowded, noisy, fun and uniquely different. We’ve made a list of shops that are interesting and worth checking out. Let’s go for some Asakusa shopping! Housed in the same building as Asakusa Station you’ll find Ekimise, a 9-floor modern shopping complex. You’ll find many different shop selling a wide variety of day-to-day items. 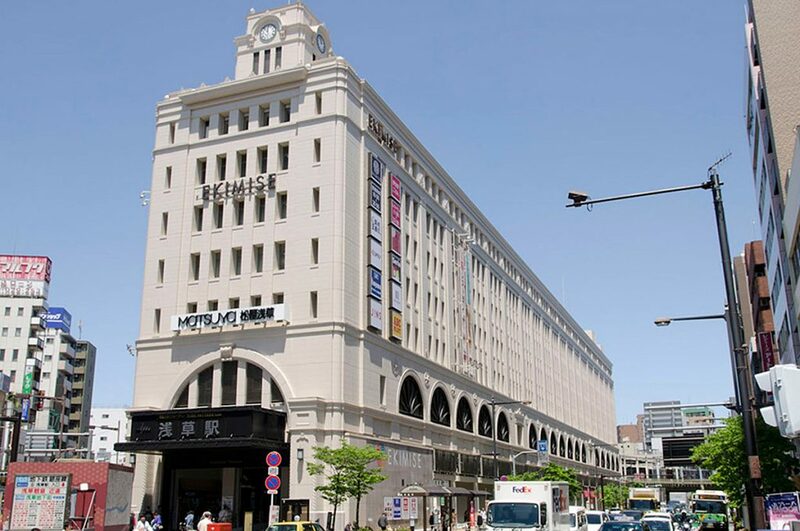 On the first and underground floor you’ll find the Matsuya department store and the food hall including supermarket. There are also many shops selling Japanese goods, crafts and souvenirs on the 7th floor. Head up to the rooftop viewing platform to relax and enjoy a nice view of the Tokyo Sky Tree. 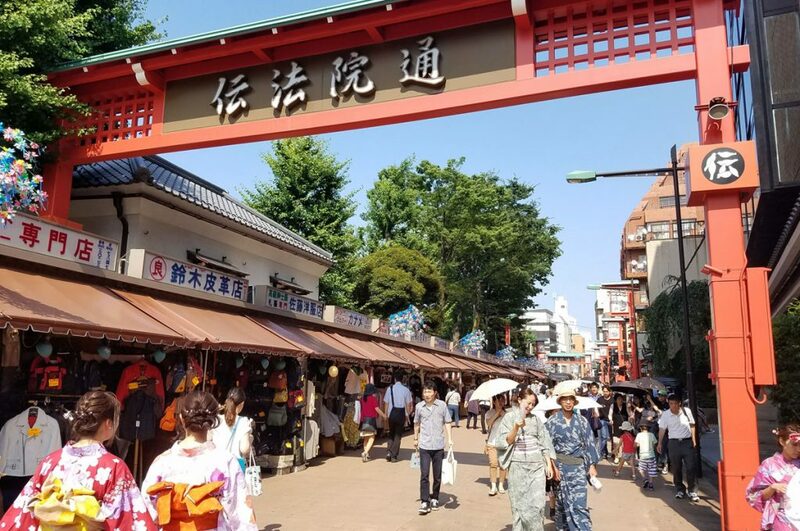 One of the highlights of Asakusa is Nakamise Dori, the famous shopping street beginning at the iconic Kaminarimon entrance leading all the way up to Sensoji Temple. This often crowded street is lined with many shops selling traditional Japanese goods, bags, souvenirs, clothes and trinkets. This place is the perfect place to shop for a souvenir for a friend or family member and when you’re done, buy the famous freshly baked melon pan or cool down with a green tea soft ice. 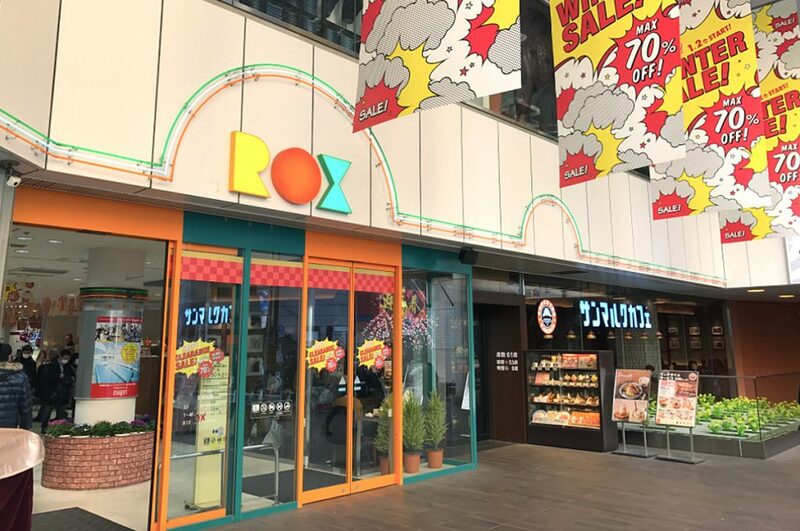 Just a 5-minute walk away from Sensoji Temple you’ll find Asakusa Rox, the largest shopping mall in Asakusa. Inside this mall you’ll find many shops selling a variety of goods like clothes, daily use products, home goods, accessories, food etc. 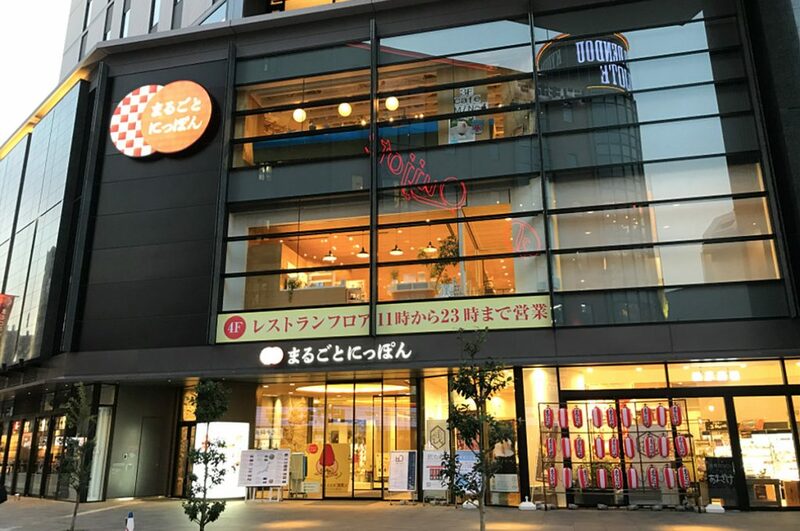 Chains like Uniqlo and Daiso also have a store here and there’s even an onsen with different pools to relax in if you need a break from a day of shopping. Want to know more about onsens and etiquette? Read about it here, including a handy onsen guide! 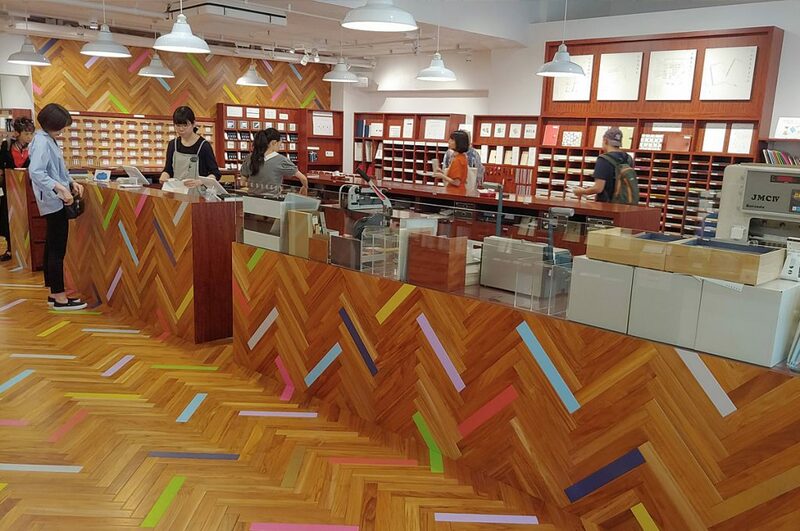 Kakimori is a stationary shop specializing in traditional writing materials. You can find many kinds of quality paper and a wide selection of pens and fountain pens. The concept of the shop is for people to keep enjoying the art of writing even in this day and age of modern technology. A special service allows you to create you own notebook by choosing your own paper, cover and binding. Close to Kakimori store is the ‘Ink Stand’ where you can create custom colors for your fountain pen from a set of base colors. Marugoto Nippon is a multi-leveled store offering the best that Japan has to offer in terms of traditional crafts, fresh produce and food & beverages. You can find beautiful products made by craftsmen from all over the country on the 1st and 2nd floor. On the 3rd floor you will find a relaxation space and learn more about regional cultures and join a cooking lesson about local food. Head up to the 4th floor to discover restaurants specializing in regional and seasonal cuisine. At Marugoto Nippon you can discover and experience Japanese culture from all regions of Japan. 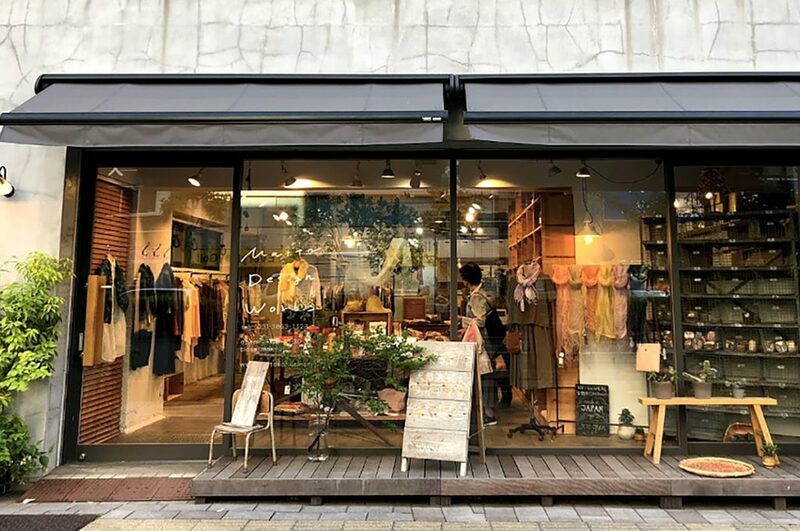 Opened by Maito Kumoro, this wonderful and tranquil shop sells clothing and accessories that are all natural. Fabrics are dyed using plant-based dyes extracted from flowers, roots, leaves and other kinds of natural materials. Apart from clothes, natural materials like wool and cotton are hand dyed and made into stylish bags, scarves, knitwear etc. You can also learn about the traditional ‘kusakizome’ dyeing technique used to create their products. Shin-Nakamise, meaning ‘new Nakamise’ is the covered shopping arcade perpendicular to Nakamise Dori. Inside you’ll find many shops selling traditional Japanese items, like Japanese fans and bags, souvenirs, traditional Japanese snacks and sweets. Hunt for a good bargain or eat at one of the many restaurants. 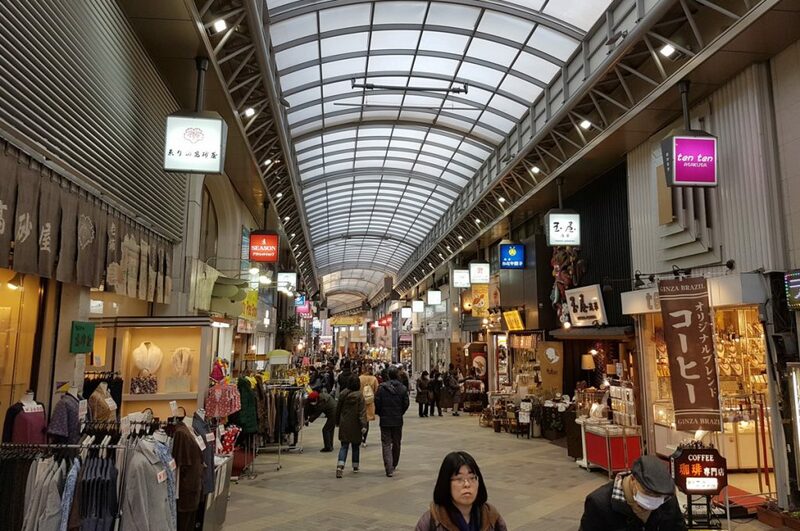 Compared to Nakamise Dori, Shin-Nakamise is less crowded and adds to a more relaxed shopping experience. Almost 1 km long and located between Asakusa and Ueno, you’ll find Kappabashi Street. This is Tokyo’s largest shopping street selling homeware and kitchenware. Come to Kappabashi to shop for the best cooking utensils, Japanese knives, Japanese tableware, tea sets and chopsticks. 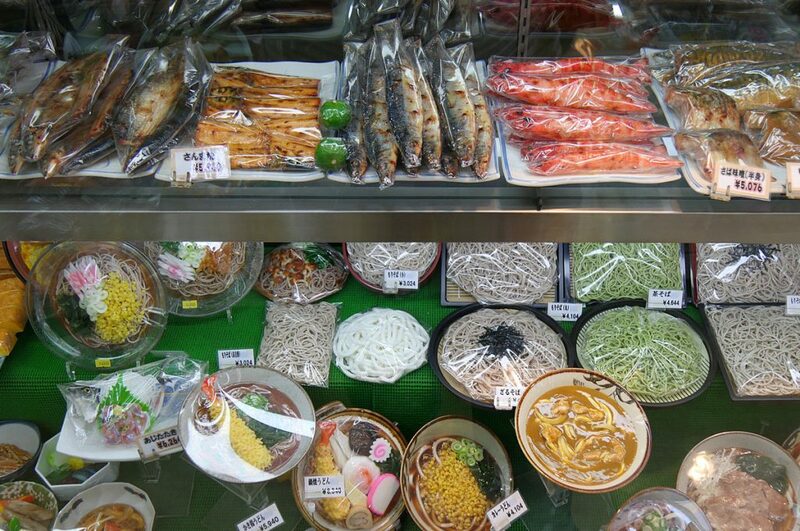 Especially interesting are the many shops selling realistic plastic display foods. Kappabashi caters to visitors looking for a souvenir, amateur cooks, and professional chefs and restaurants. Always wanted to learn how to cook Japanese food? Sign up for a cooking class with Wasabi Cooking Class here. 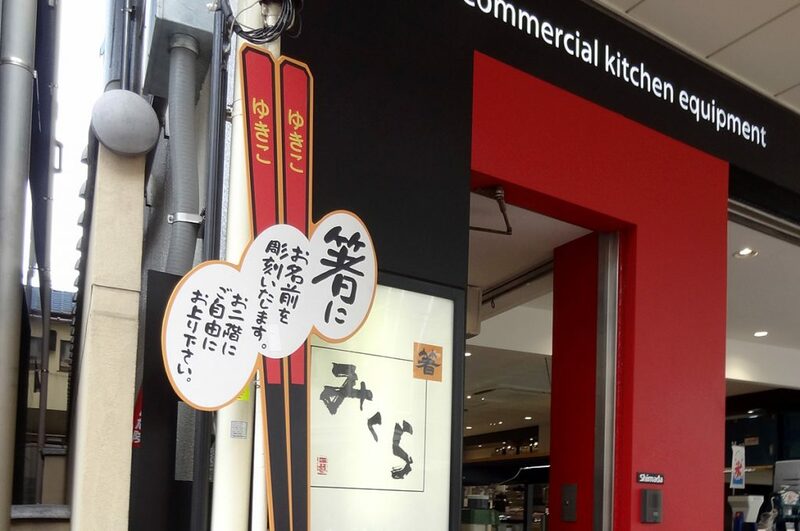 On Kappabashi Street you can find Mikura, a shop specializing in chopsticks. This shop carries over 500 kinds of chopsticks made out of different kinds of materials. You can have a pair of chopsticks selected for you based on the size of your hand for that perfect grip. Shop for a pair of simple wooden chopsticks or luxurious lacquered ones complete with its own storage case, Mikura has the perfect pair of chopsticks for you. They also sell beautiful gift sets as well as bowls. Diagonal to Nakamise Dori you’ll find Denpoin Dori, a broad shopping street with an old Showa-era atmosphere. Here you find many little shops selling antiques and traditional Japanese crafts. Strolling along Denbouin Dori feels relaxed and is a good way to get away from the crowded Nakamise Dori. Check out the beautiful Kiriko glass items or buy a snack such as menchi-katsu, Denpoin Dori is a must visit. Asakusa is a great place to experience old Tokyo with its many temples, shrines and old streets. Hunt for a great bargain or try the many traditional snacks and sweets, shopping in Asakusa feels like you’re on a treasure hunt, there is always something new (and old) to discover. Check out more shopping area’s in our article The Top 10 Best Areas for Your Shopping in Tokyo. Any shopping tips you want to share? 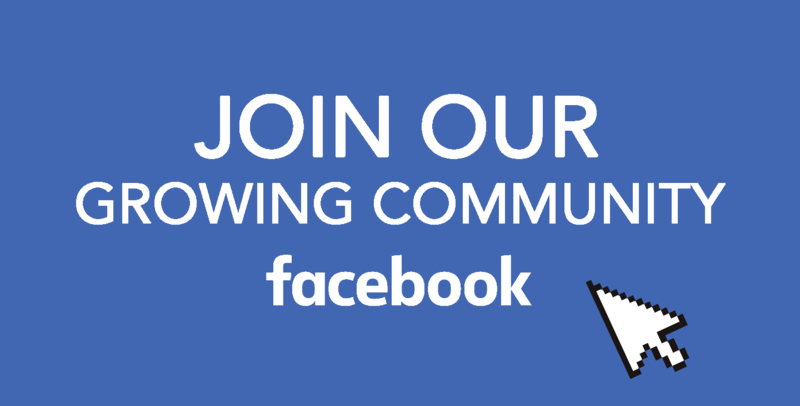 Join our Facebook group let us know. For the latest and fun info about Japan, subscribe to our Facebook, Instagram, and Pinterest!